SoundMan Project Updates - over 2.2 million virtual channels installed. Click here to read Mike Daniels' post on his very successful run of the Australian play Farmer will Swap Combine Harvester for Wife, written by Hugh O'Brien. Click here to read the Daily Planet's article on this installation. The Nature Research Center (NRC) wing of the North Carolina Museum of Natural Sciences dazzled visitors at its recent opening with its array of unique interactive exhibits and experiences featuring audio-visual systems by Electrosonic. The Raleigh-based museum is the largest of its kind in the southeast. Its new, 80,000-square-foot Nature Research Center offers state-of-the-art labs, research opportunities, interactive exhibits and live presentations designed to make science a tangible and fun experience that helps visitors understand the practical applications of science in their everyday lives. Small Design Firm was charged with designing the interactives; Batwin & Robin Productions was the content producer. Electrosonic's design consulting team was involved throughout the project from the concept to the grand opening. "We represented the client's interests making sure that the approach, the systems' look and feel, and the integration all came together as planned," says Yiannis Cabolis, Electrosonic design consultant. "Over the course of five years on the job, there were many changes in the AV world, and the systems themselves evolved. We interfaced with manufacturers and strategic partners to get a good picture of what we could expect to see by installation time." Cabolis also worked closely with exhibit designer Andrew Merriell & Associates and lead designer Rebecca Shreckengast. During the course of the extensive build, the most challenging aspect for Electrosonic proved to be the SECU Daily Planet, a globe-shaped structure cantilevered onto the building and spanning the three-story wing. The Daily Planet is an immersive multimedia theater with a 40x40-foot high-definition screen, which offers a massive visual canvas to visitors on all three floors. In its Ambient mode, it presents spectacular scenes from nature through a variety of pre-recorded video content and random imagery. In its Presentation mode, it serves as a backdrop to scientists making daily live presentations on topics as diverse as excavating dinosaur fossils, tracking baboons in Kenya or exploring beyond the solar system. Electrosonic supplied a 32 input, 32 output, 64 playback channel Richmond Sound Design SoundMan-Server CobraNet-enabled server, which uses CobraNet-enabled speakers for DSP and delivery, to handle audio. Electrosonic also supplied six Christie WU12K-M series 3-chip DLP digital projectors for maximum brightness and resolution on the Daily Planet's 40x40-foot HD screen. Four of the projectors provide the blend for the bottom and middle of the screen and two for the upper portion. Four Barco DL3 moving digital light engines paint images on the bands of the screens located between the three floors. All of the projectors operate in Ambient and Presentation modes; Batwin & Robin Productions created the Ambient content. Four Delta high-resolution uncompressed media servers from 7thSense Design, which were specifically configured for the project, feed the projectors, TV/radio outputs and preview/confidence monitors. The media servers also handle all warping, blending and color balancing. Electrosonic also provided streaming computers to the equipment room and the operator's control kiosk in the Daily Planet. These computers and a laptop input from the speaker's podium are routed through live inputs of the Delta servers to the Daily Planet's main screen in a pre-determined Presentation mode window. The window features one to three occurrences of the same information tiled with a common background to the big screen. In addition to meeting the AV needs of the Daily Planet theater, Electrosonic furnished AV solutions for 55 innovative experiential media exhibits in the NRC wing, including 'magic tables' for specimen identification via RF tags; visitor-veterinary lab observations; a salt-water tank with touch-activated information; and a weather prediction station with live international links. Among the principal equipment supplied by Electrosonic for these exhibits were projectiondesign and High End Systems projectors; I-Tech touchscreens; Medialon Manager show control; Innovox, Renkus-Heinz and JBL speakers; QSC and Stewart Audio amps; and Richmond Sound Design and Peavey audio processing. David Weiner Design was the lighting designer for the NRC. At Electrosonic, Gary Barnes was the project manager, Carl Hartzler the project engineer, Yiannis Cabolis the design consultant and Les Hill the sales person. San Diego Air & Space Museum powered by SoundMan-Server - podcast with Bennet Liles of Sound & Video Contractor Magazine & Dan Jamele of MediaMation Inc.
Bennet Liles: "Oh boy, even elephants sneezes! I'd like to see some of the control code labeling for this stuff. But the sound system for this has to be pretty sophisticated too. How was the sound system for this configured? For this type of show you probably have sound coming from lots of different places." Bennet Liles: "Yeah, one of the basic requirements of any success is what theater professors always refer to as the audience's suspension of disbelief and how well this works is a function of how well all the elements of the production come together to reinforce each other and synchronization is a real key to all that. How do you go about making sure everything happens at the right time and in the right order?" Oosterbeek, Netherlands (2009 October 4) -- The Airborne Museum "Hartenstein" has reopened after an extensive renovation including our SoundMan-Server(TM) Virtual Sound System Core Audio Engine software. The Commissioner of the Queen and the commanders of the British and Polish paratroopers officially opened the museum on Sunday, September 20, 2009. The entire museum was renovated and extended with the addition of "The Airborne Experience (September 1944)." 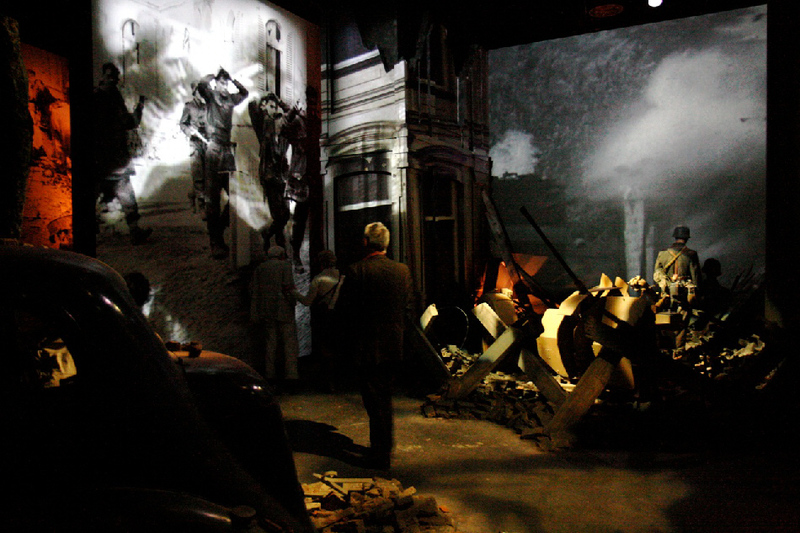 This exhibit, which leads the visitor from the para-landings, through the streets of Holland, to the "Bridge too Far," the Battle of Arnhem, is unique in Europe. Concept designers Tinker Imagineers were asked to bring the battle back to life in the newly constructed 900 square meter basement. Entering this subterranean extension of the museum you are immersed in the war events of September 1944. Historical guns, impressive sets, overwhelming video images, sound and lighting together make this a journey that appeals to all senses. 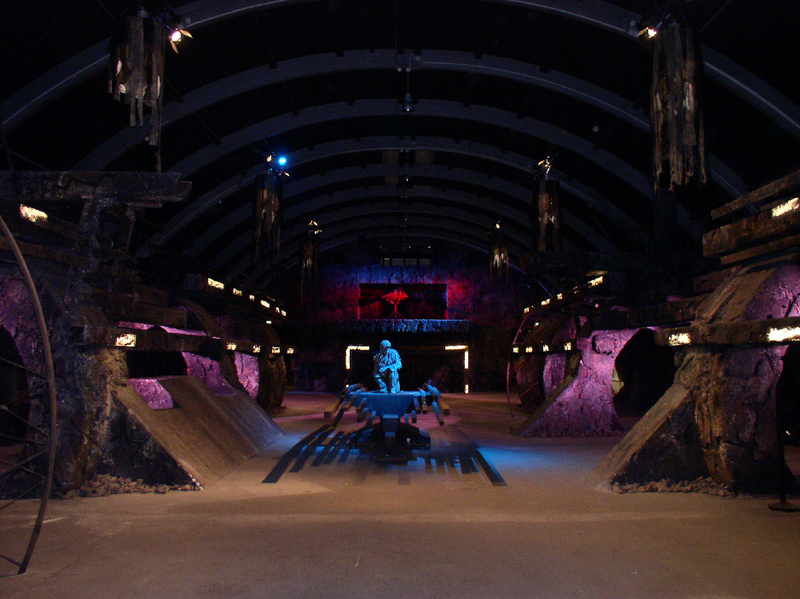 Set builders Kloosterboer built the impressive setting which brings many realistic visual effects to life. Commissioned by Tinker, Rapenburg Plaza of Amsterdam provided the lighting design, media-control, all lighting, audio-visual and Show Control equipment and also handled the entire installation and programming. Close collaboration between Rapenburg Plaza, the museum, Tinker, Kloosterboer and media content company Tungsten has succeeded in an impressive total experience. Rapenburg Plaza used RSD's SoundMan-Server for the 24 track audio control and playback system and an e:cue lighting and show control system for other media elements. This combination of systems is a proven, easy to program, easy to edit, and extremely reliable solution. Bart Wermuth, the e:cue programmer and AV specialist responsible for this project said, "It was great to work with the combination of the RSD SoundMan-Server and the e:cue System. While I was programming the lights, Sierk was programming the SoundMan-Server with his Medialon set. When we both were ready, I could easily implement the SoundMan-Server control commands in the overall e:cue programmer file. Especially because we had not a lot of programming time at all, this was a great way of working. The complex audio soundscape and all the audio effects were no challenge for the SoundMan-Server!" SoundMan-Server is an audio routing, playback and processing software designed for multi-zone audio control in theme parks, museums and live theatre. It can run off any PC and is completely scaleable in the number of inputs and outputs it can handle. Se7en, for example, uses 24 inputs, 24 outputs and 48 playbacks, yet has the capacity for more than 1000 if needed. The software accepts MIDI show control messages from the buttons around the attraction - such as the flickering corridor lights and electrical crackling sound effects triggered on entering Se7en - and then sends the relevant commands to lighting and sound equipment to ensure perfect coordination. This is the first time Entertainment Control Systems Ltd have used the SoundMan-Server and Thorpe Park have been so impressed they have already expressed an interest in rolling it out across other attractions next year. 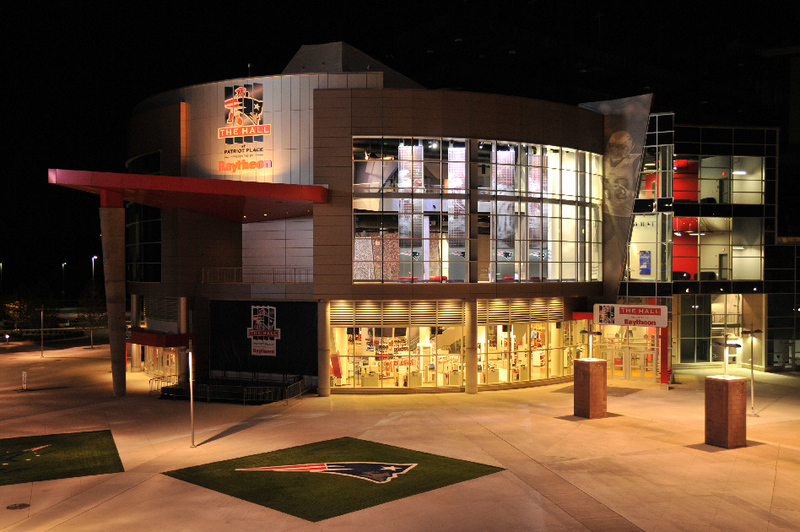 Fans of the NFL's New England Patriots are cheering the new Hall at Patriot Place, a unique sports and educational experience showcasing the history of the football franchise and housing its Hall of Fame. The venue, adjacent to Gillette Stadium in Foxborough, Massachusetts, features a dazzling array of interactive and immersive multimedia exhibits and artifacts whose audio and control systems were engineered, installed and supplied by Electrosonic.. Visitors to the 36,000-square foot Hall at Patriot Place are entertained and educated by a host of interactive exhibits where they discover how plays in the playbook are designed from Patriots Head Coach Bill Belichick and make the call on an instant replay. In addition, fans are treated to a variety of big-screen video content. All of these attractions make extensive use of interactive and display technology furnished by Electrosonic. "It was fascinating to watch how our Electrosonic team customized the technical systems to meet the creative needs of Cortina Productions which produced and encoded all the interactive and projected-video content," notes project manager Gary Barnes. "The results were incredible. The Hall at Patriot Place is just a phenomenal place." Electrosonic provided a 48-channel Richmond Sound Design SoundMan-Server Audio Engine for audio routing from the equipment room. A scalable audio routing, playback and processing solution, SoundMan emulates and replaces traditional commercial/professional sound systems of all types and sizes. Remotely- and locally-controllable and programmable, it's suitable to any installation requiring the interconnection and overall control of high-quality sound. The Hall is packed with exhibits and attractions designed by Cambridge Seven Associates. They delight fans of all ages. In the Raytheon Theater, named for the Hall's presenting partner, Electrosonic supplied three Christie DS+650 1-chip DLP 6500 lumen projectors which display a 15-minute film on the Patriots' history on a 48-foot wide panoramic movie screen; edge blending is achieved via Christie Twist. The projector roster includes two Roadster S+16K 3-chip DLP 16000 lumen projectors; one DS+8K 3-chip DLP 8500 lumen projector; one DS+6K 3-chip DLP 6500 lumen projector; one DS+305 1-chip DLP 3300 lumen projector; three HD6K 3-chip DLP 6500 lumen projectors; and one HD405 4100 lumen 1080p projector. An Electrosonic ESCAN control software is the venue's master show control system. It talks to three Crestron CP2E systems with Ethernet capabilities to control the projectors, interactive kiosks and every exhibit. Three HP 24-port Ethernet switchers are deployed for the internal network. A large complement of Christie projectors, lenses and mounts also feed projection screens in the third-floor Grand Hall, kiosk attractions on the second and third floors, and the geodesic dome-shaped Snow Game exhibit where one projector displays footage from the team's celebrated gameplay during a heavy snowfall while two other projectors handle snow effects. Six JBL 3-way cinema surround speakers plus five Renkus-Heinz 8-inch wide dispersion speakers and two subwoofers help the team history in the Raytheon Theater come alive. Four EAW programmable steered array speakers and four Renkus-Heinz subs provide audio to the Grand Hall. All interactive audio and video kiosks are equipped with local Innovox custom speakers. A number of exhibits feature Acroname proximity-range sensors with serial control, which trigger audio effects. When visitors leave the elevator on the third floor and enter a tunnel, reminiscent of the tunnel in Gillette Stadium, a sensor triggers an audio track of cheering fans as the Patriots prepare to take the field. Other sensors trigger players. voices in mannequins as they call a play in a huddle, launch snow-removal sounds in Snow Game, and bid the fans farewell as they leave the We Are All Patriots exhibit. For the tunnel audio Electrosonic supplied four JBL 6.5-inch, 2-way ceiling-mounted speakers, two more wall-mounted units, and a pair of 8-inch ceiling-mounted subs. The equipment room is also outfitted with 13 QSC amps; Shure wireless mics are used for presentations in the Raytheon Theater and Patriots. Media Lab classroom. Electrosonic furnished nine Panasonic 58-inch HD plasma displays for the venue's Fan's Room, Super Bowl and Club House exhibits, and Patriots' Media Lab. They run content which is sourced from three Electrosonic MS9200P HD SDI MPEG2 digital players; seven Electrosonic MS9500 HD MPEG2 players; and 10 Electrosonic MS9500GL HD MPEG2 players with genlock. Electrosonic also supplied a wide range of touchscreens for various exhibits. Fourteen AIS Pro 32-inch and one 42-inch LCD touchscreens are deployed in the Fan's Room and Building Blocks and Raytheon exhibits as well as for changing displays and the Patriots Hall of Fame. The kiosks in the Hall of Fame trigger 30-foot high video Magink pylons whose digital displays highlight the careers of each Hall of Famer via video, still images and text information. Five Richardson Electronics 24-inch LCD touchscreens and a pair of Digitpro 19-inch LCD touchscreens are also featured in the venue. The major interactive content is powered via a Dell media server, 21 computer systems and three Dell power graphics systems. Four Panasonic Blu-ray disk players source content for the Fan.s Room, the Cradle of Football exhibit and in the Raytheon Theater and Media Lab for presentations. "The Kraft Group, our client for the Hall at Patriots Place, is one of the finest groups I've ever had the pleasure to work with," reports Gary Barnes. "They had great vision and high expectations. And they dealt with us as if we were members of their family." Tony Petruzziello was Electrosonic's sales person for the project. The company's head of integration engineering, Jim Maddux, did all the ESCAN programming; detail and lead engineer Carl Hartzler was supported by Crestron programmer Ryan Sims and projection engineer Nir Elnekave. Chris Cooper was the installation site supervisor with Phil Shaw, Brian Otis and David Boudreau the installers. Electrosonic is a worldwide audio-visual company that operates in three ways: as a systems integrator, as a product manufacturer, and as a service provider for AV facilities. Founded in 1964, Electrosonic has always been among the first to apply new technology to create tailored, state-of-the-art solutions that meet the challenges of the professional AV market. Electrosonic's system integration business has a strong reputation for working on complex projects, both large and small, and has through its 40 year history developed lasting partnerships with customers and suppliers. Electrosonic brings a unique breadth of experience to each project, backed by solid engineering skills, project management and quality production facilities. Beyond complete integrated systems, Electrosonic can provide a wide range of services including consultancy, technical design, maintenance, lamp leasing and operational support. The new Bavarian Film City (Bavaria Filmstadt Geiselgasteig) 'Wild Boys 5' (Die Wilden Kerle 5) pre show uses SoundMan. 'Wild Boys 5' is the story of an unusual soccer team battling a similar group of vampires. This series has a considerable teen following in Germany. Bavaria Filmstadt Geiselgasteig now uses the final battle scene as an introduction to their studio tour. Christian Neumann of Chr. 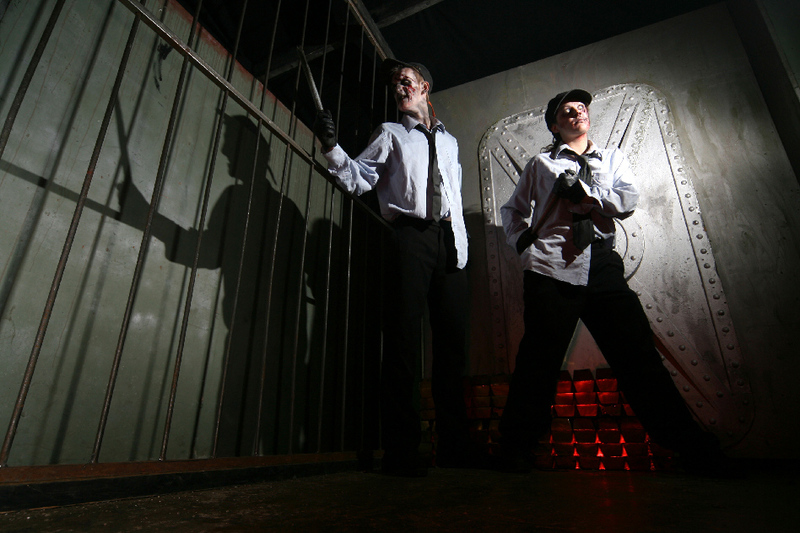 Neumann Consulting of Lünen, Germany, created the lighting design and mini show for the entrance incorporating a dramatic soundtrack and lights on the set. SoundMan-Assistant and SoundMan-Server provides all sound, audio matrix, loudspeaker processing and time code generation functions. A JBL cinema 3-way system is at the video screen and two full range systems are on the other side of the hall allowing sounds to fly seamlessly from one end of the room to the other. MIDI Show Control commands run SoundMan-Assistant which provides all sound cues, matrix routing and the MIDI Time Code to syncronize lighting events with the sound. Output equalization built in to SoundMan provides the cross over filters for the loudspeaker systems. An M-Audio Delta1010 is the audio interface and its additional inputs and outputs are used for special events held in the venue. 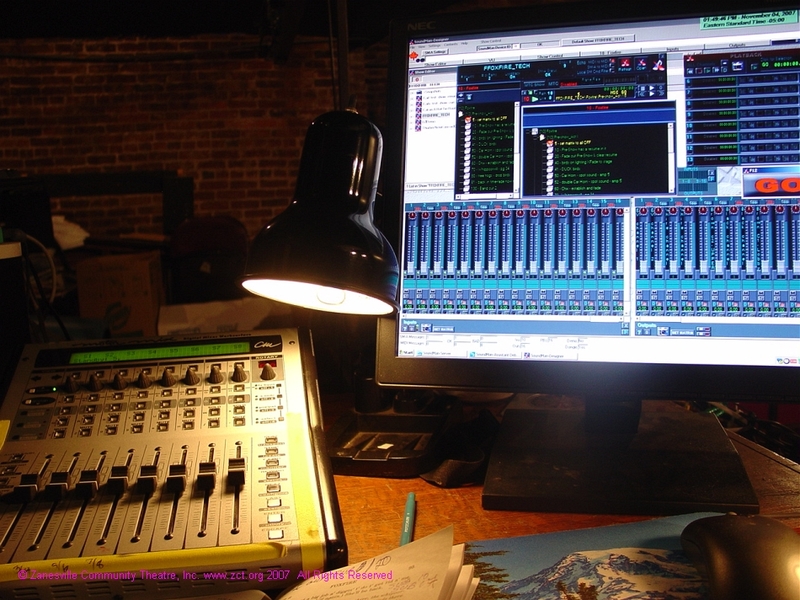 An E-Cue programmer with Multimedia dongle is the master show and lighting controller, containing master show cues and logic for day/night modes. An Automation Direct mini brick PLC (06-series) monitors user interface pushbuttons (Start Intro/Start Video/Stop Show for the main set piece/Start Video/Stop Video for the museum) and communicates with E-Cue via RS232. It also controls the amplifiers and intelligent light system power relays. Two HD video players and a video projector round out the equipment list. "The cost/efficency ratio for a 8x8x16 matrix/playback/processing system and the well known interface was an absolute decision maker for me. I dare you to tell me one other system that can do all that for the price!" "SoundMan from Richmond Sound Design Ltd. coupled with a MotorMix from CM Labs made running sound on Zanesville Community Theatre's recent production of Foxfire a joy. Aside from the normal use of subtle environmental loops to establish the current scene as well as flashbacks, Foxfire required the playback of backing tracks to accompany a live singer. SoundMan performed flawlessly!" 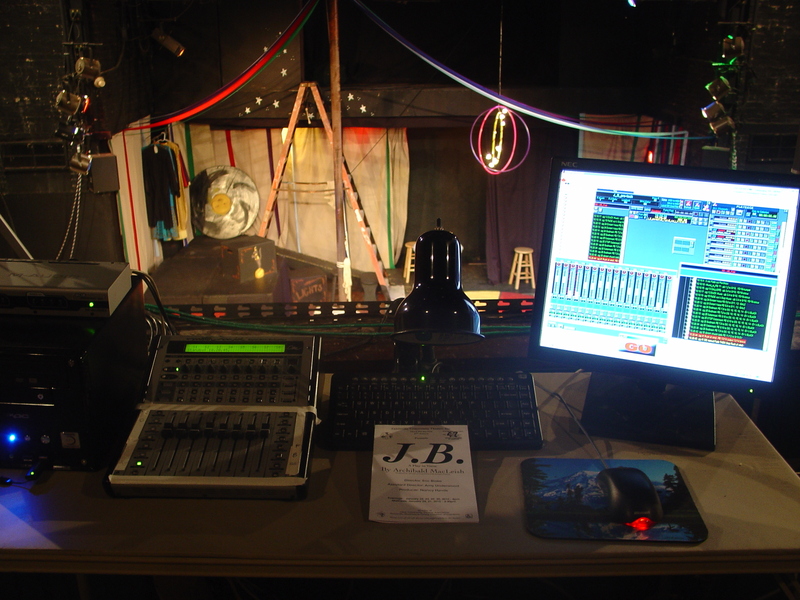 "On Zanesville Community Theatre's recent production of J.B. by Archibald MacLeish, SoundMan-Assistant and SoundMan-Server from Richmond Sound Design Ltd. coupled with a MotorMix from CM Labs tamed this circus easily!" "I had pre-programmed the show, roughing in levels before we moved into the theatre. Final adjustments were made during the cue-to-cue a day before tech. My assistant on the project was Steve Hammer. Steve had never worked with SoundMan but picked up the basic programming techniques in a few minutes." " Zanesville Community Theatre's production of J.B. used the original music composed by David Amram and sourced by John Kilgore Sound and Recording. SoundMan allowed Steve to modify the underscoring levels on-the-fly, based on the actor's performance and the size of the house. 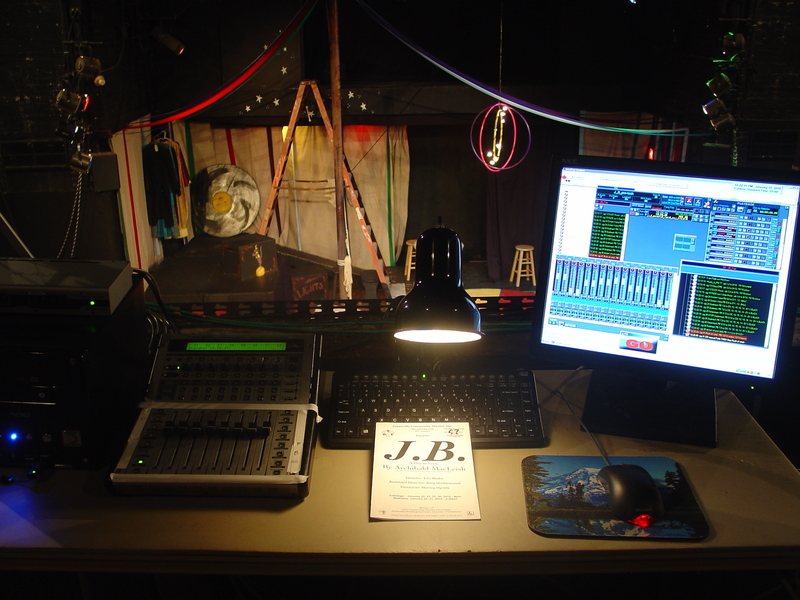 J.B. also requires the on-stage actors to interact with pre-recorded voices (The Distant Voice) as though the voice is a live on-stage actor. Again, SoundMan performed flawlessly and helped to make the sound design an invisible actor!" "I just wanted you and your team to know how great the SoundMan-Server product is working. I can't imagine an installation where we would not use it. We added it to the Harley Davidson Museum after the initial design and routed every audio source into the server and distributed from there. The flexibility of routing and mixing, along with EQ was a hit. Both the producer and the sound designer loved the way it worked. We use an AMX control system as the front end and use a wireless panel to perform all functions. My best guess is that it reduced system setup and alignment time by at least half." "In the current project, the Chickasaw Cultural Center, we are using it in a much more demanding fashion. We are again processing all sources and are using SoundMan-Server as the audio playback source for more than half of the exhibits. Using a variety of sensors to determine visitor locations, we are varying levels, changing mixes and externally chasing video to the server. The system also triggers lighting events in conjunction with audio events. So far, the 96 channel system in this installation is working very well. The audio designer was quite pleased with the system. We set up his protools system to perform on site mixing in each exhibit area, routing the output to spare input channels and then exported his files as wav files which are played directly from the server. It was a very seamless approach. Likewise, system setup and adjustment was a breeze." "Even in smaller installations like KentuckyShow, a small 75 seat HD theater to promote tourism, the system works great. Using SMPTE chase, we were able to eliminate the 5.1 processor, which nearly pays for the SoundMan-Server. Adding walk in and Walk out music to the show sequence was simple as were the addition of hearing assist and description channels." "Mandie is continuing to improve our human interface based on the AMX front end, though we have the intention of producing a PC control product in the future. For now, each job has been somewhat custom (as far as code goes) but we envision a universal front end that can be easily configured. Our marketing plan for 2009 includes a program to educate museum designers on the possibilities and potentials of enhanced audio environments which are based around the SoundMan-Server." "Thanks for such an innovative product." "It was great to work with the combination of the RSD SoundMan-Server and the e:cue System. While I was programming the lights, Sierk was programming the SoundMan-Server with his Medialon set. When we both were ready, I could easily implement the SoundMan-Server control commands in the overall e:cue programmer file. Especially because we had not a lot of programming time at all, this was a great way of working. The complex audio soundscape and all the audio effects were no challenge for the SoundMan-Server!" "SoundMan-Server plays a vital role as a multi track player at l'Auditori." "Soundman-Server software is one of the best and most interesting audio tools that a show control company as Kontrolcla can incorporate in its arsenal. Easy to command with Telnet orders, has a clean audio quality and an infinite potential to address, mix, group, play a lot, a lot of audio channels -- and it is extraordinarily robust." - Joan Anton Llarch, director of Kontrolcla Show Control, Barcelona, Spain. "SoundMan-Server is becoming the Swiss Army Knife of audio playback and signal distribution in our Medialon installations"
"Despite the tiny footprint of the software module, what you have at your disposal is an impressively capable audio processor and playback setup. Install, configure and forget it. It just works." - Vidar Eggen, Multitekst Ltd, Oslo, Norway. "SoundMan couldn't be better, taking all that I could throw at it! 'Freaking fantastic' is all I can say, thank you very much!" "We have been using AudioBoxes in our theatres for many years and now the reduced cost of SoundMan allows us to run sound in the rehearsal studios exactly like it has been onstage. We are now very excited to have this new software which is even more flexible and powerful!" "SoundMan FINALLY puts the power of an AudioBox into the hands of organizations both large and small in an affordable, scalable package!" "Using off-the-shelf hardware, SoundMan is an affordable, scaleable, easily upgradeable entry to the possibilities of Audio Engine software." "I have to tell you how much your console design work influenced my becoming a console designer. " "Many years ago you wrote a seminal AES paper on a topology for an SFX mixer...[which]...had a significant effect on me. I want to include you and RSD in a list of pioneers..."
"I have had the pleasure of knowing Charlie Richmond for a number of years. I am always interested to hear about his latest projects and developments in lighting and sound controls. I have also worked for Charlie on a housing project in Montreal and found him to be a very progressive and fair minded client." - Chris Mattock, Principal, Habitat Design + Consulting Ltd.
"Charlie has always shown leadership and competence in everything he works on. A visionary of the show control industry, a true professional in making sure 'the show must go on', and foremost, a person who believes in only providing the best. Charlie's involvement in his sound recording studio and his show control business were and are full time jobs, however he still makes time to stay involved in industry standards, associations and will get involved in projects of any size. Projects from local to global, he has always paid attention to the requests and needs of the people involved." "Reliably forward thinking, with the rare ability to explain it all clearly on the first go. Many of us would not be working in industry if not for his innovations and dedication. Hats off, my friends." "I have worked with Charlie on a half dozen or so product designs, and an industry standard proposal. When it comes to design, Charlie has a sense of what is 'just right'. He is pragmatic and his designs are always driven by actual customer need. He is very thorough in his approach: his sense of detail is remarkable. He takes a balanced view of features, and stays clear of frills that add clutter but are of little practical value. I am confident that if Charlie is behind a standard or product, the design will be spot-on. Charlie is a pleasure to work for and with. He has a great sense of humour, always shows grace under pressure, and is a guru in his field. I feel privileged to count him as one of my mentors." "Charlie has the unique ability to be forward thinking and practical. 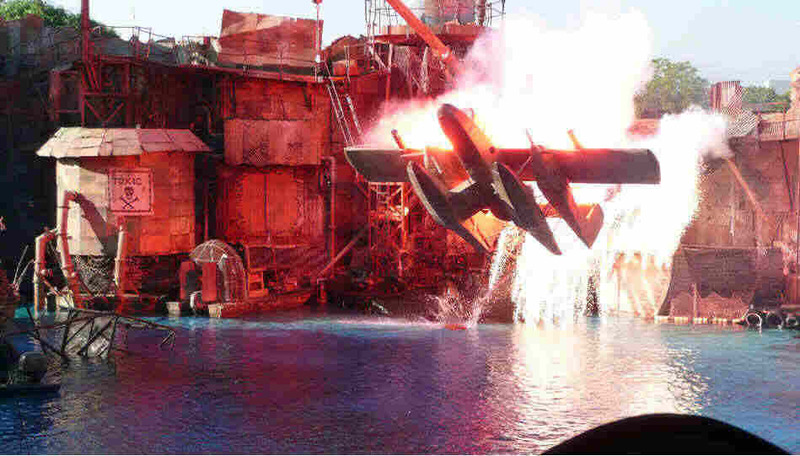 The 'Richmond System' he provided made Indiana Jones Epic Stunt Spectacular possible - a combination of audio cuing and signal routing not previous possible at that scale. And yet the system was straightforward to program and run. What I enjoyed working with Charlie most of all was his contagious passion for the art. No matter how our timetable was adjusted by outside influences, Charlie's attitude and support made our jobs easy and enjoyable. We were able to meet changing show needs and milestones with limited stress that typically accompanies these changes. I look forward to the advancements Charlie has in the pipeline and hope to work with him again." "If you want to know what is MIDI Show Control and know all the secrets of this powerful protocol, talk to Charlie..."
"Charlie is a great innovator - He adapted the MIDI music protocol to enable full remote control of all aspects of Show Control hardware." "Charlie Richmond gave me my first break in sound design and digital audio. He believed in me, which really helped me learn to believe in myself. In Charlie's hands, Mushroom Studios didn't just make great sounds, it was a great place to work, a place where artists and technicians from many backgrounds gathered to explore the newest trends in sound design and audio recording techniques." "I've had the pleasure of speaking to Charlie on a number of occasions. His products are well known for their robustness and you can tell from the effort put in to making them that he is passionate about his work and his products. Charlie is always willing to share his knowledge and experience." "Mr. Richmond is a disciplined inventor and creator of sound control products, both hardware and software. His ability to build and expand a successful business with those products is very commendable. More impressive, to me, was that Charlie became friends with most of his clients and customers." - E. J. Woody Miller, Owner, Miller Architectural Tech Services, Inc.
"I have known Charlie Richmond for many years through our mutual work in live theatre and themed entertainment. Charlie is a great innovator and industry guru." "I have had the pleasure of working with Charlie Richmond on a number of occasions. His products are best of breed and always getting better which is a simple function of his attention to detail and getting things right and remaining practical whilst being sophisticated. As for Charlie professionally he offered and demonstrated the best service and support I have ever had. That was a challenge given that we were in different hemispheres and opposite sides of the world. Yet that did not diminish the level of his support. I look forward to working with Charlie any time I get the chance to and find his approach and manner an absolute pleasure to work with. Naturally I'd have no hesitation in recommending him for anything that he sets his mind to." "Charlie Richmond is one of the legends of the Industry and a very nice guy also. I have worked with Charlie as both a supplier and as a colleague and his devotion and energy towards the industry in which we work is truly inspiring." "Charlie Richmond actually needs no recommendation from me. He has been known for many years for his work with Richmond Sound Design, and his development of the AudioBox, which is used in live entertainment venues around the world. I know him through my participation in the Theatre-Sound Mailing List, and recently had the pleasure of meeting him in person in London." "Charlie Richmond introduced me to the concept of Show Control many years ago... I still remember the Amiga Computer fondly....He has always been extremely innovative, helpful and patient with us lighting designers working in the MIDI world..."
"Innovative, forward-thinking, generous and supportive, Charlie Richmond has been a mainstay in my work in theatre and exhibition sound design. Many of my best shows have been done with the use of software and hardware from Charlie Richmond's company and with his whole-hearted and unstinting support, which seems genuinely to be available 24/7, no matter where he happens to be at the the time. A colleague and friend to be highly valued." "Though his enormous professional achievements alone would rightfully earn him the immense esteem in which so many hold him, what impresses me most about Charlie Richmond is his tireless and caring stewardship of the show control community. Indeed, so far as I'm concerned, Charlie is the reason that the show control field is a "community" and not just an "industry". It's tempting to describe his role in the sprawling field as one of "leadership", and in many ways, you'd be quite right to call it that. But doing so misses one of the great things about him. Rather than simply stand at the front of the room and speak authoritatively from his years of experience, he chooses to place himself as a participant in the crowd, a peer within the group. Charlie doesn't just lead, he "engages", bringing new participants into the fold, encouraging the kind of give-and-take that lays the groundwork for the future of his trade, and working to curate an environment that allows the community to continuously flourish. When we think of people advancing the state of the art, we generally talk about technical leadership. Charlie has helped me understand that social leadership is just as important, if not more so. After all, technical fields are chock full of people capable of scientific innovation, but if you look closely, you'll discover that folks like Charlie who also possess a life-defining commitment to their community are few and far between." "Always get frank and informative answers from Charlie Richmond, a good resource and provides fine customer service when called for." "Charlie Richmond is a remarkable artist, business owner, and all-around good guy who is very generous with his knowledge and time. Years ago, when I was just getting my feet wet in this new pond called Show Control Charlie was an able and willing guide! As a business owner he never hesitated to listen to my (probably strange) requests. More important, if a request was too far off-the-wall he would patiently explain why, and always in a manner that was never judgmental or critical. That's a rare talent all by itself. Charlie has done so much in the field of technical theatre that it's difficult to imagine a question one could pose that he could not answer, and then fill in the details with amusing anecdotes. But the really cool part is that, even now, he still does!" "I've used a number of Charlie Richmond's products - from a decades old blue theatre console, to the award-winning AudioBox, to the current SoundMan Designer. They have all been ground-breaking products which are well conceived and implemented. Charlie is a leader in the theatre sound industry, and puts his leadership to good use through his work with U.S. Institute of Theatre Technology, support of educational programs, and willingness to share his technologies with other developers. I would gladly use any of his products." "I had the pleasure of installing one of Charlie Richmond's Richmond Sound Design consoles in the South Coast Repertory Theater when I was the resident engineer there. Here is a guy that is always exploring the many ideas that he has. I don't mean just theorizing, this guy makes the happen in real nuts and bolts and IC chip terms. I have met him at various trade conventions and he's always got his finger on the pulse. It is my pleasure and honor to recommend Charlie." - Serge Ossorguine, Owner, CEO, Serge Audio, Inc.
"Charlie Richmond is by far one of the most real-world intelligent people in this industry. His answers to my (or anyone else's) questions are always extra-ordinarily helpful. His Sound-Man Server is an amazing feat of engineering, and an incredibly useful tool in the business!" "I have known Charlie Richmond for probably 25 years, and he is truly an innovator and a pioneer." "Charlie Richmond is exceedingly knowledgeable about sound and show control, and generous in sharing his knowledge with others in the industry." "Charlie Richmond is a leading expert in the field of "Entertainment Technology" and I highly recommend him. I am always interested to see what he comes up with!" - Mitch Hartmann, Edwards Technologies Inc.
"Charlie Richmond is one of the best employers I ever had, he always treated me with respect, honesty and integrity. He is also an astute businessman and very knowledgeable audio engineer. If there is anything about sound he does not know, I am not aware of it. A true visionary and innovator, he is at the same time very practical. If he has a fault, it is that of a workaholic." - Ken Moren, service and support technician, Richmond Sound Design Ltd.
"I have worked with Charlie Richmond on a number of museum projects, using his excellent Richmond Sound Design Audio Box as a matrix mixer, show controller for permanent multichannel installations. We actually used several synchronized to generate 3D soundscapes in the Melbourne Museum, Australia. Charlie added functionality for us and was very fast at replying to questions and provided excellent customer support. I would recommend Charlie to anyone working in this area. Cheers, Garth"
"Charlie Richmond has been, and continues to be, one of the great innovators in theatre sound. One need look no further then Richmond Sound Design to discover the next great advance in technological tools afforded to sound designers involved in all branches of live entertainment." "Charlie Richmond is an icon in the world of ShowControl. I know Charlie (and his Will) for years now and it's always a pleasure to be around them. Charlie is also very service-driven. He is always online and will always help you with advice or service. I wholeheartedly recommend Charlie for any sound or showcontrol project he is interested in taking on!" "Charlie Richmond has a fantastic product that he supports with personal, prompt and professional service. I have been extremely impressed with the level of customer support, care, and responsiveness his organization demonstrates. A real example for the industry to emulate." "Perhaps without knowing it at the time, Charlie Richmond changed the face of show control with his unique and accessible products. More than that, his almost single-handed effort to create and standardize MIDI Show Control has had a profound effect on the entertainment technology world. I have worked with Charlie and his products on a large number of high-profile difficult projects. He always comes through and is a delight to work with!" - Steve Terry, Executive VP, Production Arts Lighting Inc.
"Charlie Richmond has hosted a dozen or so domains with me for over three years now, first with a dedicated server and now with sites spread across my resources. He has had an unusual range of requirements for the different sites, but has always been appreciative of the efforts I've made. It's been a very good relationship." "Charlie Richmond has always responded to every request and answered every question promptly, effectively and with good humour. His (and his company's) contribution to technical development in our industry has been and continues to be innovative and invaluable. I highly recommend Richmond Sound Design as a great company to be involved with." "I have had the privilege of working with Charlie Richmond's systems since the early 90's (Viva Las Amigas)! Beyond innovative, his designs have always been thoughtful, robust and durable - the only choice when managing huge productions, particularly those with life safety concerns such as Waterworld. Having crossed paths for nearly 20 years, I welcome any opportunity to work with Charlie and to specify his products; it is an honor to recommend him." "I highly recommend Charlie Richmond and Richmond Sound Design Products. Not only did I find ABEdit and Audiobox unbelievably flexible and creatively stimulating, Charlie has also given expert advice to me when I was at my wits end in the middle of China!" "A brilliant inventor, programmer, and all-around RF genius, Charlie Richmond is one of the brightest people I've ever worked with. Across many transactions over a period of years, I've always known Charlie to be of great integrity. My highest recommendation." - Jim Rondinelli, Former SVP Digital Strategy/Business Development, Warner/Chappell Music, Inc.
"I (amongst other people) am here, in this industry today, because people like Charlie Richmond paved the path (for both technology and ethics) for others to follow! Our entertainment & entertainment technology community would not be as we know it without him!" "Richmond and Show Control, that's the same thing, isn't it? My first contact with Charlie Richmond was in 95 while working on the "Beauty and the Beast" here in Vienna. We had a very intense email contact for years and years, until we got personally in touch, which was a great experience. He is now an associate AND a friend, I trust him!" "Charlie Richmond is one of the most innovative thinkers in the business whether hardware, software, anyware, systems or sound design. Always ahead of the curve particularly in cost effective solutions. Thanks to the many different forms that Charlie's leadership has taken, not only has the state of the sound design art advanced exponentially, but his tireless efforts have paid off in recognition of sound design and sound designers as an essential component of every project. My hat's off to him and his team! Highly recommended." "Charlie Richmond is in this Industry for ages, he even made it into Wikipedia! So when he starts talking we better listen!" "When it comes to live sound, Charlie Richmond and his company, Richmond Sound Design, is the man and company that you want to solve your system requirments. There are very few truly qualified, successful and excellent large-scale live sound designers and installers. And when it comes to technology, Charlie is always right there in the beginning pioneering the way for others to follow." "Charlie Richmond is a well known and respected figure in the Show Control industry, as are his products. When working with a AudioBox, he worked directly with me and got us controlling it very quickly. He was also a guiding force in development of the excellent Midi Show Control protocol (MSC) which is a always a relief to see on some arcane piece of lighting tat. The Show Control email list he initiated and now guides so skillfully is an invaluable resource in the somewhat scattered show control field, and acts a meeting place for a group of talented and, for engineers, helpful experts. Always a good place for an arcane problem, and to be reminded how much you don't know. Hopefully occasionally to remind someone else what they don't know, as well." "Charlie Richmond is one of the most knowledgeable people in sound design and recording. I produced several albums and film scores at Mushroom Studios when he was the owner and we had great discussions, while I was assistant conductor at the Ford Theatre in Vancouver BC, on the problems of spatial audio recognition in large scale theatres such as the Ford (now the Centre) Theatre - how does one make it clear that an actor is moving from one point on stage to another when the sound is broadcast through two or three speaker clusters to the entire theatre? Charlie is the best,"
"Charlie Richmond is a long-time friend. He is a life-time technical innovator in the area of audio for big events. Look him up on wikipedia!" "Charlie Richmond offers software that has set the industry standard for controlling automated entertainment equipment and devices. He was an absolute pleasure to deal with and I highly recommend his products and services!" "I worked with Charlie Richmond in several projects in which he was always a great support (as were his products). His support always goes beyond the scope of his products and his vast experience and knowledge in the field of system integration are unsurpassed. When in a position of system recommendation I always will recommend his products (Audiobox/Soundman-Server/Showman). He's also a great guy and has been a good personal friend for a long time." "Charlie Richmond is a great person, I know him since several year. His is a professional, managing the company he's owning with an obvious passion. He's very skilled in audio and Show Control matters. I'd recommend Charlie for any job related with these matters." "I have specified Richmond Sound Design Products on an important international installation for a blue chip client. As owner of Richmond Sound Design, Charlie Richmond was instrumental in setting up the audio systems specified. I would not hesitate in recommending him and Richmond products." "When I was considering the purchase of an AudioBox for our little theatre, Charlie Richmond personally answered the phone and spoke with me at great length. He answered all my questions and made a special effort to get me both a demonstration and an older unit that was within our budget. He's done a top notch job in the design of the AudioBox, the result being a powerful theatrical sound processing device!" "Charlie Richmond has been a friend and associate for many years; I met him when I discovered the excellent service and support of Richmond Sound Design. He has always been keen and approachable about any technical issues no matter how esoteric or naive the questions may have appeared. His company was an inspiration at a time when I was very active in creating and refining sound design systems in an independent theatre company context, and now as I continue to teach it at the college level. Charlie's warmth and humility are remarkable considering his wealth of experience in many facets of the entertainment industry: design for live theatre, theatre technology invention, sound engineering, sound recording and record producing. I'm honoured to have worked with "The Godfather of Show Control" and creator of the legendary Mushroom Studios. Charlie's reputation is international and his expertise, truly mind-blowing!" "Charlie Richmond is probably the best in his field and understands better than many the intricacies of the requirements from Show Control hardware and software in a performance environment. Theater is a one-chance opportunity field if technology works, nobody notices particularly, but if it doesn't, a show is wrecked. Charlie makes stuff that works and makes stuff work together and without any fuss and this is the sort of thing that only a person like Charlie, with his amount of experience, can understand. Thus, having him around is a comforting factor that I have heard confirmed by numerous colleagues." "Charlie Richmond is always one or two steps ahead of the rest of us. When we were trying to figure out how to produce an industry standard for computer controlled audio gear, Charlie was quietly selling the de facto industry standard computer controlled audio system. Long before PCs and Macs were able to output decent audio (in the early 90s) Charlie was hacking the motherboard of Amiga computers and producing turbo-charged audio workstations. Before the rest of us realized that MIDI could be used for something other than synths, Charlie was using it to control everything from lighting to pyro (his efforts eventually became the MIDI Show Control Spec). When the rest of us were proud of our PC software that could control a single device, Charlie was controlling entire theaters with his software. When we realized that TCP/IP might be better than MIDI for sophisticated entertainment networks, well, we just had to take a look at what Charlie was already doing. Charlie - you inspired a lot of us to keep pushing the envelope." "Charlie Richmond was perhaps the first professional I met in Theatre Sound in 1976, and one of the few at that time who had already spent a lifetime developing the field of Theatre Sound Design. He personally introduced me to his 816 console, which, at the time defined (it was too soon to re-define!) sound score playback in theatres. He followed it up with the Command Cue System, and then the Audio-Box, all groundbreaking innovations in their own right. He continues to be an innovator today, a true legend in the field, if for no other reason than these contributions. But Charlie is much more than that. He has been a tireless champion of the field, serving as the first Sound Commissioner in USITT, and a staple of thoughtful commentary, mentoring and provocation on the Theatre Sound Mailing List. He is as passionate about theatre sound as any person on the planet, and that passion has been instrumental in developing sound as an art form. Beyond all of these professional accomplishments, Charlie has also been instrumental in my personal development, assisting my career in often invisible, but very tangible ways over the last thirty years. He remains a trusted friend and someone I hold in the highest regard. Neither my career, nor the field of theatre sound would be what they have become today without Charlie's involvement. I know that there are many others out there who owe Charlie the same debt of gratitude." "Charlie Richmond is surely one of the pillars of our industry. His posts to the Theatre-Sound listserve and the QLab listserve are invaluable for their technical content as well as their human perspective. I would recommend him under any circumstances." "Charlie Richmond is one of those unique people you meet only a couple of times in your life. A truly gifted individual; knowledgeable, successful and yet always approachable. Schmaltzy as it sounds, it really is an honor to know Charlie." "Charlie Richmond è una delle persone con cui preferisco lavorare. Competente, creativo ed umanamente "profondo", lo considero un amico ed è un onore per me poter distribuire i suoi prodotti in Italia. Una delle funzionalità più interessanti della nuova versione del mio X-spat boX sarà la compatibilità con il suo SoundMan-Server Audio Engine Software. Senza dubbio una delle figure più autorevoli nel settore dell'entertainment di alto livello." "Charlie Richmond is a true pioneer in his field. His career and experience have honed him into the rare category of "expert". Anyone working with him benefits from his years of forging new territory which then becomes industry standard. And get this: he's a gentleman, too!" "Charlie Richmond has been a true leader in the design and programming of show control and audio systems since I first entered the field in the 90's, and no doubt longer than that. He is legendary for leading the development of Midi Show Control, through which the live event industry continues to benefit. In truth, I've never known Charlie to stop innovating -- you gotta keep an eye on him!" "Charlie Richmond and his company are highly respected throughout the world of live show control, and he has been responsible for some of the most important -- and most popular -- shows in the world. He is a creative thinker, very reliable, and, most importantly, a nice person to know." - Steve Alcorn, Owner, Alcorn McBride Inc.
"Richmond Sound Design has been delivering great products for many years in the theatre industry. Much of the way audio for theatre productions is accomplished has been directly influenced by the inovative products from Richmond Sound Design."